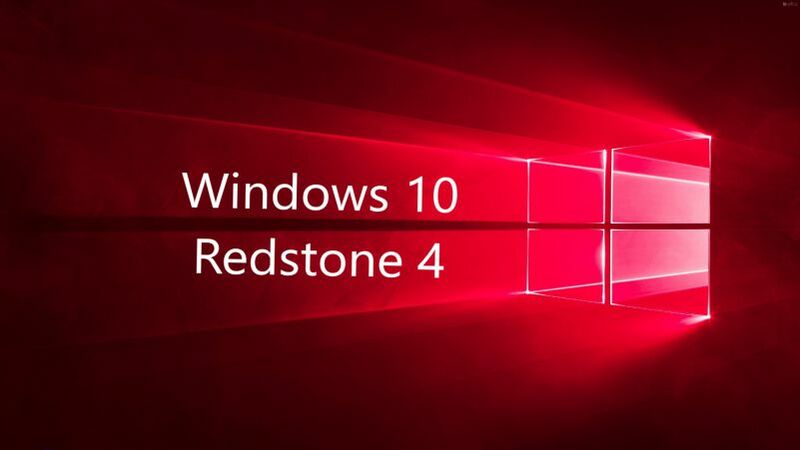 Windows 10 Redstone 4 build 16251 is now available for download. The new insider preview build comes with new features, bug fixes, improvements and more. The Fall Creators Update insider build now lets you link your phone and PC. The build also added new Cortana commands. Now you can restart, shutdown or lock your PC with Cortana commands. Windows Insider team also released Windows 10 Mobile build 15235. Previously, Windows 10 build 16241 for PCs was released with fixes. Now you can link your phone to your PC. Currently, Android phones are supported. Support for iPhone is coming very soon. To access new feature go to Settings > Phone and link your phone. Having you link your phone ensures that your sessions from your phone are continued only on to the PC that you’ve chosen. After adding your phone to be linked, you will receive an SMS from us directing you to install a test application called “Microsoft Apps” for Android that completes the link between your phone and PC and enables one of our first cross device browsing scenarios. After you’ve linked your phone, just go to your phone and start browsing the web. When you are at a website you want to view on your PC, simply invoke the native share experience on your phone and share the website to the “Continue on PC” option. You might need to click the “…” or more to add this test app to your share menu. Once invoked, it will first ask you to sign in with your Microsoft Account. It is important you use the same account you are using on your PC. Next, it will ask you if you want to “Continue now” or “Continue later”. If you choose “Continue now”, the website will magically open on the linked PC. If you choose to “Continue later”, the website will show up under Action Center for you to get to later when you’re ready. With Windows 10 Redstone 4 build 16251, you can view the results that Cortana has for you without launching the web browser. For some questions, the Cortana pane will expand automatically, quickly showing you exactly what you need to know. Use sign-in info to apply settings after a restart or update: The advanced Windows Update feature to use your sign-in info to automatically finish setting your device after an update has been extended to regular reboots and shutdowns. When you log in and initiate a reboot or a shutdown through power options available on the Start Menu and various other locations, Windows will automatically setup your account after it’s has booted back up. Windows 10 build 16251 adjusted the size of the one-handed touch keyboard to be a little bigger, as well as added a thicker border as padding around it so you’re less likely to accidentally tap outside the keyboard and dismiss it. We’ve updated the new XAML touch keyboard to now support a full keyboard layout option for English (United States), English (Australia), French (France), Italian (Italy), German (Germany) and Spanish (Spain) languages. Appreciate everyone who shared feedback on the subject! To access this keyboard layout, tap the button in the top left of the touch keyboard. Softened the sound of typing on the touch keyboard – thanks for your feedback! Windows 10 build 16251 updated the Japanese one-handed touch keyboard specific key labels to be written using the Yu-gothic UI font. Fixed an issue where the touch keyboard’s options in Settings to disable suggestions and disable “add a space after I choose a text suggestion” didn’t work. Adjusted two-finger precision touchpad scrolling so it should feel a bit smoother now – please try it out in today’s build. Fixed an issue where the Microsoft Pinyin IME candidate window wasn’t visible when Microsoft Edge was in full-screen mode (F11). Windows 10 build 16251 fixed an issue where Japanese IME status notification didn’t appear when the IME was turned on with Kana input method. Addition to scrolling, pen can now also select and drag objects when barrel button (a button on the side of the pen) is pressed. This functionality was already available in Win32 apps and Microsoft Edge as of 16215, and today we’re expanding it to include all UWP apps as well. Please try it out in your favorite apps and let us know how the experience is working for you. Windows 10 build 16251 fixed an issue from recent builds where the Copy Link option displayed in Microsoft Edge when you right-click a hyperlink wasn’t working. Some users may see Game Mode enabled in the Game Bar by default for some of their games. Windows 10 build 16251 fixed an issue from the last flight where if you had display scaling set higher than 100%, you might encounter a bug where the hit targeting was offset when interacting with various parts of the shell. This was particularly noticeable in Action Center, where it might appear that nothing in Action Center could be clicked or tapped, but could also have been experienced in other UI around the system. Fixed a bug that resulting in poor text rendering on some machines when Magnifier was running with bitmap smoothing enabled. Please try it in today’s build and let us know if it seems better now. Windows 10 build 16251 fixed an issue where the Windows Defender Security Center icon appeared unexpectedly stretched out when using a wide sized tile pinned to Start. Windows 10 build 16251 fixed an issue resulting in the notification prompting you to enter tablet mode not working properly when you access in recent flights. Adjusted the My People emoji above the Taskbar to now be referred to simply as “My People notifications”. This terminology can be found in Taskbar Settings. Windows 10 build 16251 fixed the issue with PC Games using the Origin overlay where the use of overlay may cause game movement to lock up. Insider team is investigating your reports that after upgrading to the latest Insider Preview builds, some network settings are lost and revert to default settings. Static IP address configuration is reverted to DHCP. Networks which were marked as private are reverted to public. After the upgrade you will need to manually readjust your network settings back to your preferred settings. You can download Windows 10 build 16251 ISO files from our website later. Check back for Windows 10 build 16251 ISO download links.